Find your freedom today with a FREE ORCA youth card, already loaded with $10 in fare. Available to King County teens ages 14 to 18 through outreach events, ORCA youth cards are accepted by most public transportation agencies around the Puget Sound. Imagine, no more waiting around for a ride when meeting your friends, going to the mall or heading off to school. When using the ORCA youth card your fare is only $1.50 on King County Metro buses, Link light rail and other participating transit agency vehicles. Also, your fare comes with free transfers to other buses and transit systems within a two-hour window. * You can go farther faster with your ORCA youth card! *Some limitations apply. Transfers are not accepted on the Washington State Ferries. Where can I use my ORCA youth card? The youth fare is available on Metro buses, Sound Transit buses, Link light rail, Sounder trains, and the Seattle Streetcar. If you are planning to ride on other agency’s buses, the King County Water Taxi, or the Washington State Ferries, additional fare may apply. ORCA cards are accepted on Community Transit, Everett Transit, King County Metro Transit, the King County Water Taxi, Kitsap Transit, Pierce Transit, Sound Transit and Washington State Ferries. How to use the ORCA card…literally? The money a passenger on public transportation pays in order to ride. The ORCA card is all you need to pay your fare on most public transportation in the Puget Sound region. 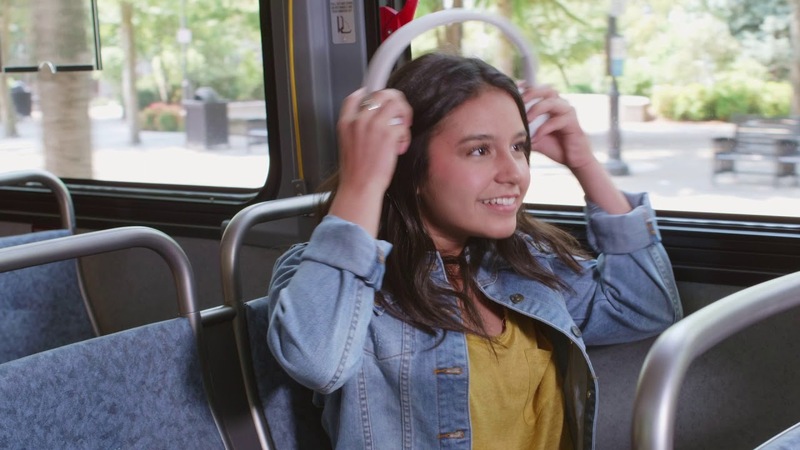 An ORCA card loaded with E-purse value or a valid regional pass always pays the correct fare, which for youth (ages 6 to 18) is $1.50 on King County Metro buses. Where can I add money and passes to my ORCA youth card? Select retail stores that can load money or passes on your ORCA youth card are located around the county. Follow this link for a complete listing of retail locations. ORCA ticket vending machines are also located at each Link light rail station and in the downtown Seattle Transit Tunnel. You may also load money and/or passes at the Metro’s Pass Sales Office (201 S. Jackson St., Seattle) and on the ORCA card website. What happens if I get a school-issued ORCA card? ORCA cards distributed by K-12 schools generally expire at the end of each school year. Additionally, some school-issued cards are for school-related use only. The ORCA youth card can be used whenever you want, to go wherever you want. Can I get the special reduced youth fare if I pay with cash at the fare box? No. You only receive the reduced youth fare when using your ORCA youth card or the Transit Go Ticket app. You need to load E-purse value (money) or a monthly pass on your card to take advantage of the low fares. Load money at participating retailer store locations, ORCA ticket vending machines at Link light rail stations, at Metro’s Pass Sales offices or on the ORCA card website. You may also receive the reduced youth fare when using the Transit Go Ticket app. Can I load money onto my ORCA card online? Yes, you can go to the "Have a card" page on the ORCA card website. You will have the option to login to manage your card, create a "My ORCA login" or add money to an unregistered card. If you're adding money to an unregistered card, you’ll be asked to enter your ORCA card’s serial number and 3-digit verification number (both are located on the front of the card). Once those steps are completed, you are free to add E-purse (money) and/or a monthly pass. With E-purse, you can add as little as $5 and as much as $300 to your card. Monthly passes (called Puget Pass) are available in denominations that match your typical trip value. If you ride Metro, you’ll want to buy the $1.50 Puget Pass, which is $54 for unlimited rides during the calendar month. Remember that when you add money or a pass to your card online it takes between 24-48 hours to process the addition before it appears on your card.